March 24, 2015, Lea Marra released her debut, Heartbeat. It was a joy to work with her and produce this EP. Kudos to Chris Smail for his great performances on guitar and bass throughout and Aaron Smith for this tasty string arrangements on “Galaxy”. The beautiful mastering was done by Andy Vandette. You can purchase it here. I will be joining Mike Campese opening for Michael Schenker at the Whiskey A Go Go on Tuesday, April 16, 2019! Buy discounted tickets here! It’s been a busy summer and early fall and I have proof! I’ve played quite a few shows with The Why Store. I also recently did a solo performanced called, Metal, Membranes and Machines. I’ve posted video of these. You can find them right here. I’ve also begun production with a wonderful up and coming artist, Lea Marra. I’ll be sure to let you know when this is ready for you all to here. Next Tuesday, I’ll, once again, be performing at the Indianapolis Artsgarden. This will be similar to previous shows but will differ as well. In the past, this show has been mostly electronic in nature. I will be expanding on the material as well as bringing back the acoustic kit. I’ve been spending a lot of time lately arranging and programing as well as actually rehearsing the show. The goal is for everything to feel holistic, integrated and musical as opposed to a collection of bells and whistles. We shall see. Here’s a look at some of the configuration. Had the good pleasure of recording, “The Five Best Songs in the World, Vol. 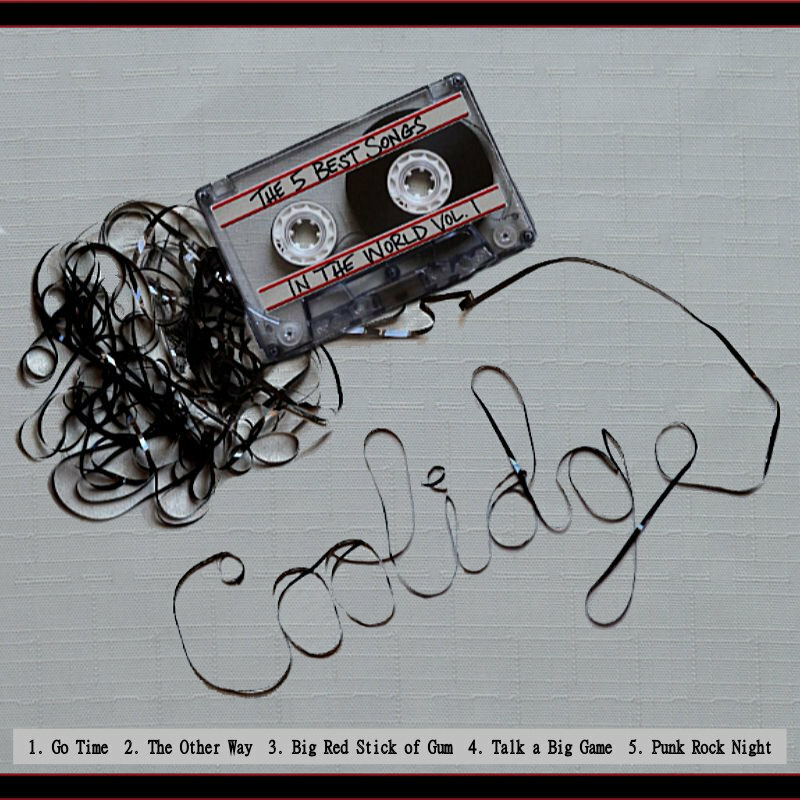 1” by Coolidge at The Pop Machine. You can find it here. I’m currently working on final mixes for Mick Rhodes and The Hard Eight from Los Angeles. 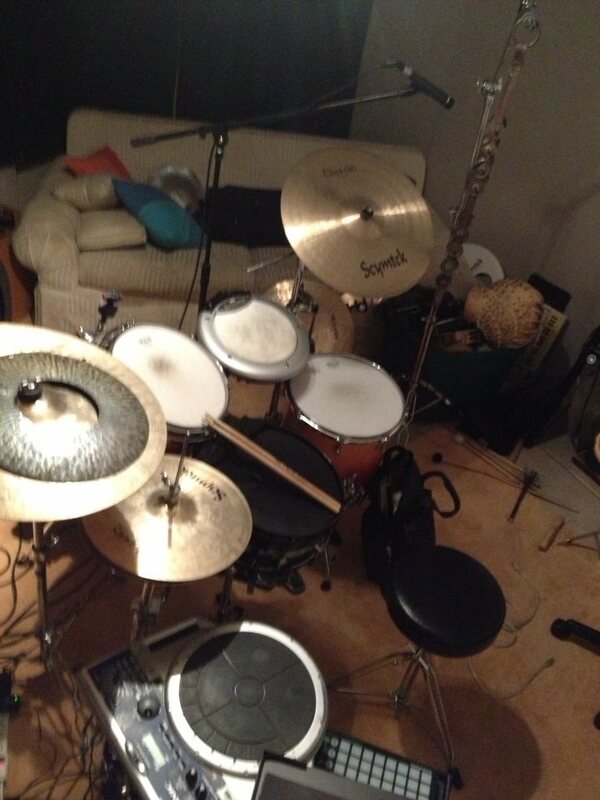 I am also co writing and recording drums for a yet to be disclosed project. More to follow. I recently played a private show with Michael Roe. It’s first time Mike and have performed live together in several years. Good stuff! Meanwhile, I have a lot of shows on the calendar, including The Why Store. Be sure to check this list frequently as shows are subject to change. The sound of surprise. Newest. The shedding of the old. The exposure of new skin. A fitting description for me as of late. For starters, you may notice the new look of this site. Since this is my first post since Christmas 2011, I’m happy to say that this new set up will enable me to post more frequently. So, visit often for show updates, new photos, music and videos. In fact, there are some new things up on all of those pages right now! Check it out. I’m happy to report that as of January this year, I am now working at The Pop Machine Recording Studio in Indianapolis. I have already worked on several cool projects with ESW, X103, Kingly T, Rex Rideout, Phyz’ica, The Neighborhood and Chisette Michelle. I have some cool bands, singer-songwriters and re-mix projects in the works. I will keep you in the know as that happen. Meanwhile, I’ve been very busy playing lots of shows all over town. Playing with Groove Garden at the final Pacers/Knicks playoff game was a highlight. Wildheart has been playing lots fairs and private events. 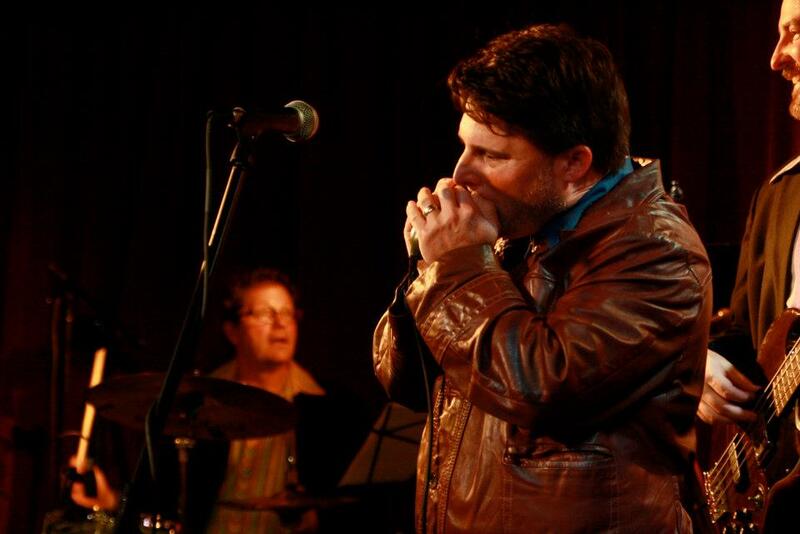 I’ve also done a lot of duo shows with Chris Stone, Jon Martin and Chris Coolidge. There have also been a few solo performances. These are ambient, loop oriented music. Expect to see more of this in the near future. It was also a pleasure to participate in, “Such A Night-Recreating The Music of The Last Waltz”. I played drums on “Mystery Train” and then sang, “Mannish Boy”. 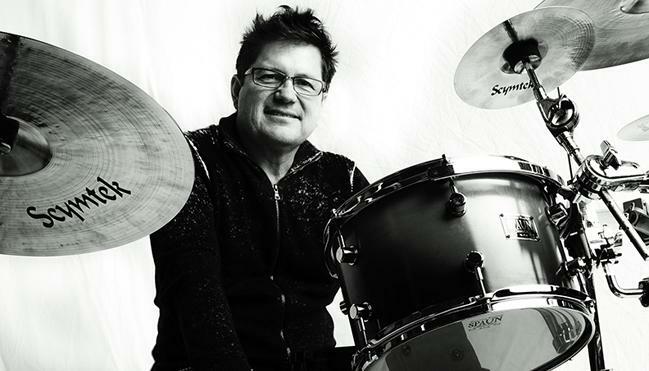 I am also proud to announce that I am now endorsing Scymtek Cymbals. This a great new company making superb cymbals that I absolutely love playing. Glad to be part of the family. and decided that I wanted to record my own version of “Little Drummer Boy” This what I came up with Not exactly showroom quality, but I wanted to get it out while it was still timely. For all you music geeks and gear nerds, Every sound was created on my Roland Handsonic. Limiting myself this made the process a lot of fun. I hope you enjoy it. Merry Christmas! of my new project, simply called, Bryan Meyers. I will playing drums AND singing. My band will likely include various players, all of whom are remarkable musicians and good friends. 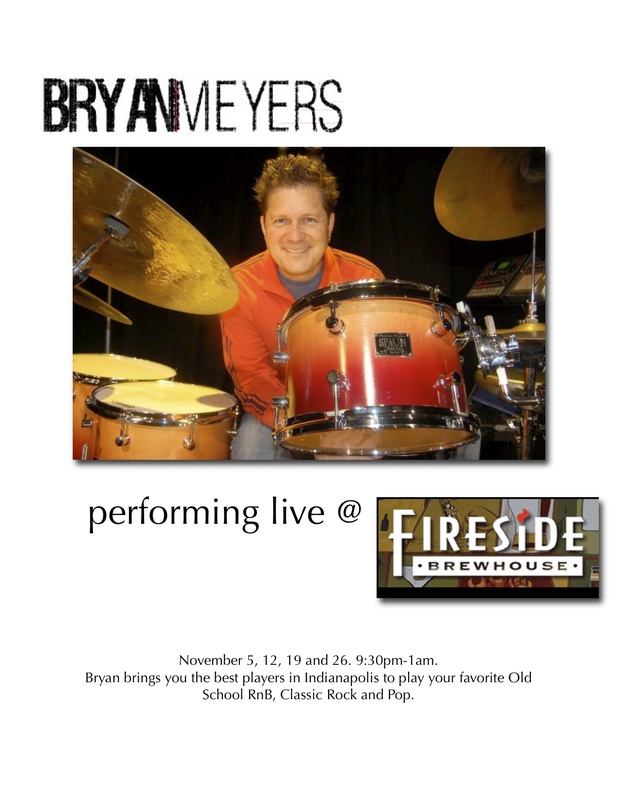 Please be sure to join us every Saturday in November at“FIRESIDE BREWHOUSE”. But, while you’re here, look around. I’ve done some house cleaning and added a lot of new photos and videos. I hope you enjoy. Came to the midwest twice this summer. I had the good pleasure to play some intensely rocking shows with Loaner from Yuma, AZ. The shows were well received. I expect there will be more to come in the near future. I’ll keep you posted but be sure to keep up to date at“LOANER”. I put a lot of time working with Jason Sturgeon Band. We had fun shooting the video for “Simple Life” and doing some good shows and industry showcases. In the end, my involvement was short lived. What followed was longest break I’ve had in years. It has proved to be a good thing. This down time has lead to my first album. What started as an idea presented to me by my friend, Tony Scelzo became “Today Is The Day”. It is available from the store and “iTunes”. You can download a free song from the album at “Free Download”. I hope you not only enjoy the music but find it helps you to encourages you and helps you achieve your goals. Until then, I wish you all a Merry Christmas and a Happy New Year! God bless.